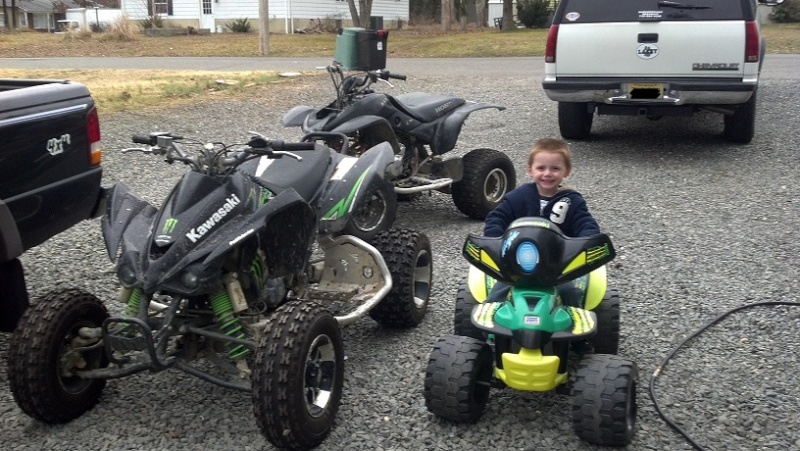 overall a great bike.... the kfx is stupid fast... does not like going slow.. putting around with my 3 year olds it doesnt like it..haha... im right in forked river so any one have some good places nearby let me know... i just moved here a year and a half ago.. pm me and ill send u my cell.. I need somebody to take the site over and make it sweet again. I just have NOOO time. welcome. this state really blows like no places to ride anymore. im from ocean county from south toms river not too far from forked river. that kawi is nice. 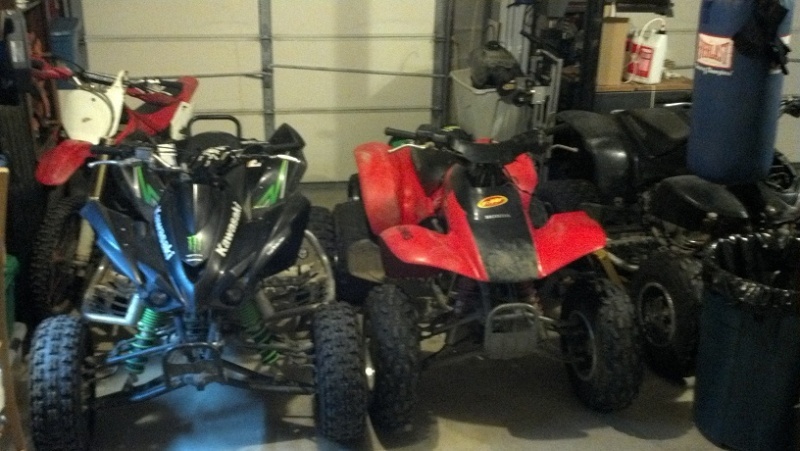 Ive been riding the power lines with no problems so far... a lot of bike tracks and trails into the woods... so there is a lot of people going out there... and im not riding at 80 mph..
my quad is mostly setup for mx, i dont like to go take chances and gettin caught lol.